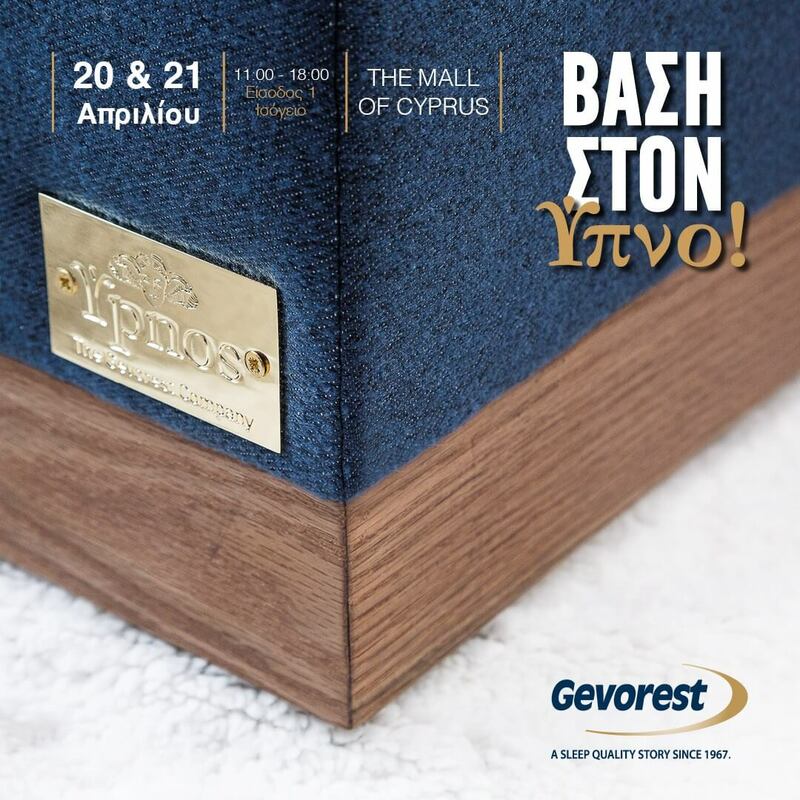 Gevorest’s informative campaign on setting the right foundation…of Sleep continues this weekend, 20 and 21 April at THE MALL OF CYPRUS, between 11.00-18.00 at entrance 1. The perfect combination of these three components contributes to the absorption and elimination of all body pressures, always aiming at the preservation of the spinal cord at its right place. To learn more and to set the proper foundation…of Sleep, visit THE MALL OF CYPRUS in Nicosia this coming Saturday and Sunday, 20 and 21 April, between 11.00 and 18.00 at entrance 1!